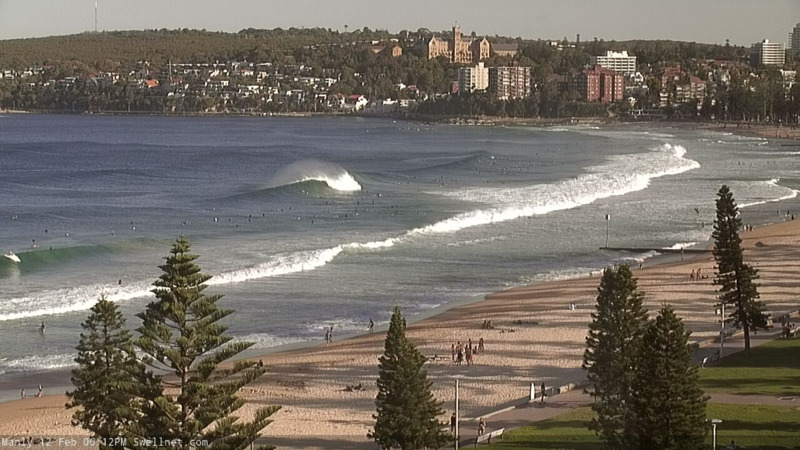 Best Days: Most days should have good waves though confidence isn't high on the incoming E/NE swell for the next few days. Better options expected later this week and into the weekend and beyond. Recap: Saturday saw a combo of E/NE and NE swell hold occasional 2-3ft sets throughout the day, though early morning delivered a brief period of (unexpectedly) undersized conditions for a few hours. Conditions were clean with early light N’ly winds swinging NW and then freshening from the W/SW ahead of a late S’ly change. On Sunday, winds eased and backed to the SW and a strong S’ly swell punched a little higher than expected, with south facing beaches pushing 3-5ft at times. The S’ly swell eased slowly today from 2-3ft at south facing beaches, and early light winds created clean conditions ahead of the afternoon nor’easter. I’m really not very confident in the surf outlook for the next few days. The source of our inbound E/NE swell didn’t perform quite as well as expected over the weekend, and seemed to shift a little faster into the swell shadow of New Zealand. Unfortunately, with no wave buoys in the central Tasman Sea to monitor the incoming swells and provide verification on their size and strength, we can only wait to see what transpires. 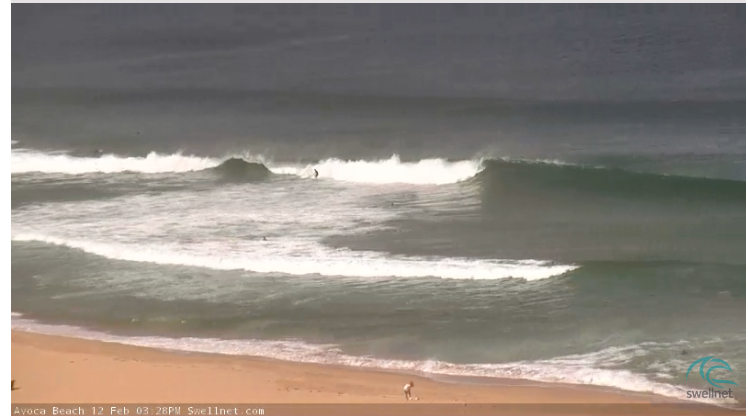 However the Northern NSW and SE Qld coasts pick up these kinds of swells a little earlier than Southern NSW, and today they have seen an increase in energy from the same source - though it hasn’t been as strong and consistent as expected. As such, I’m going to downgrade the outlook for the next few days (from this swell window). The large travel distance coupled in with the poorly consolidated fetch (as detailed in last week’s notes) and then the greater-than-anticipated swell shadowing from New Zealand has really dented my confidence in this swell event. Additionally, the models seem to have erased all reference to any swell out of the E/NE on Tuesday. Instead, they're expecting the E/NE swell to not kick in until very late in the day, and then peak through Wednesday. This is at odds with my manual calculations. So, Tuesday! What will we see? 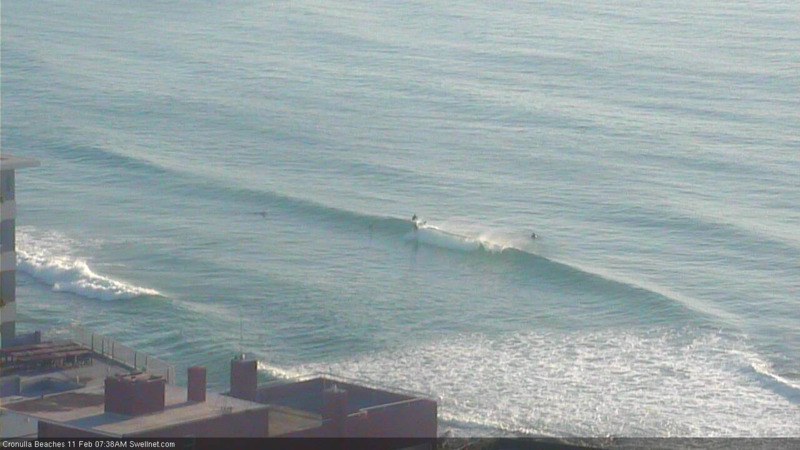 Today’s freshening NE winds should kick up a small NE windswell in the 2ft range. Despite model guidance to the contrary, I do think we’ll see some distant E/NE swell but set waves will be extremely inconsistent, pushing 3ft throughout the day (more chance of this after lunch, than before). Again, it’s a very low confidence event so don't plan any highway mileage. Fortunately, conditions will be clean as pre-frontal N’ly winds swing NW, cleaning up most open beaches. Wednesday looks really complex. In addition to our E/NE swell (which should hold steady with very inconsistent 3ft sets), gusty S’ly winds will push along the coast as a deep low south of Tasmania drives a front across Southern NSW. We’ll see a combination of short to mid range south swells build in size throughout the day, offering bumpy 3-4ft sets at south swell magnets. Southern corners will be your best option with the E/NE swell and S’ly wind combo. Thursday is a better day for waves with the front pushing clear of our region and a combination of swells providing interesting waves to open beaches: we should see very inconsistent 2-3ft sets out of the east, but also easing S’ly mid range swells from Wednesday ahead of some long period S’ly swell from the parent low south of Tasmania. 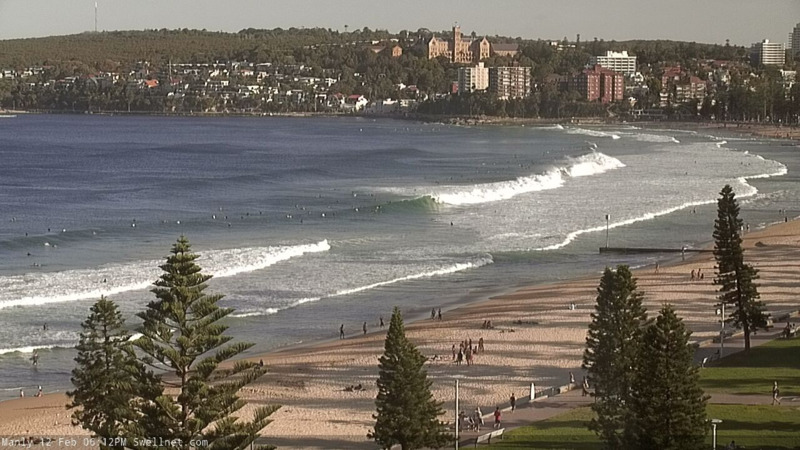 Size should manage 3ft+ sets at south facing beaches, maybe some bigger sets at reliable swell magnets (such as the Hunter). Conditions won’t be amazing on Thursday but it’ll be much more manageable than the day before, with pockets of light variable winds tending moderate E/SE then E/NE throughout the day. And to finish off the working week, Friday’s looking to see a mix of swells: small E/NE background energy, a small building spread of SE swell from a stationary (through developing) ridge in the Central Tasman Sea, as well as a couple of south swells from frontal systems south of Tasmania and also a W/SW fetch exiting eastern Bass Strait. Let’s peg size around 3ft at south facing beaches, and 2ft elsewhere. Winds should be mainly light and variable with sea breezes. Some of the forecast charts are very impressive for the weekend, with a broadening ridge through the Tasman Sea combining with a widespread trough of low pressure to the north to create a large, strong SE fetch aimed into the Coral Sea. However, not all models have the same setup to the same degree of intensity, and in the same part of the swell window either. As such we should be cautious about how high we set our expectations for the weekend. As it is, there’ll be decent southerly groundswell sources in the mix this weekend from a series of polar lows off the ice shelf from late Wednesday onwards. No major size is expected but as a bare minimum, inconsistent 2-3ft sets are likely. The fetch in the central Tasman Sea should supply around 3-4ft of sideband SE swell for our region, and we’ll also see some persistent E/NE swell from the tropical lows further NE of the ridge, feeding into the broader system. Current expectations are for light winds and sea breezes both days, so there’ll be options just about everywhere. Let’s see how Wednesday’s model runs are shaping up with this Tasman system, as there’s certainly the potential for an upgrade. Long term activity is centred around the South Pacific, with a multitude of tropical lows (and possible tropical cyclones) moving through our swell window at various points in time. However there’s nothing concrete to pin down at this stage, so tune back in Wednesday to see how things have evolved. Spot on forecast for last weekend. Got good fun waves both days early. It was good being out there on Sunday morning and being amongst an increasing swell. 630am low tide started at 2- 3 foot and by the time I went in there was an occasional 4-5 footer lot of sets. That's 2 weekends in a row, with a third on the way. I could get used to this. I don't think Ben is talking up the long term, some of the models are very excitable on the long term prospects but the Canadian model isn't on board (well not when I looked yesterday). 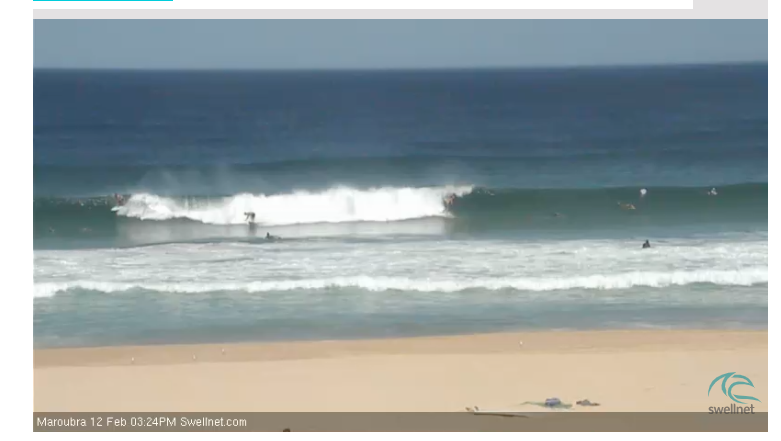 I concur with Chris, surfed late morning and there was inconsistent straight long-range energy to 3ft on the sets. No decent quality banks though but I managed to snag a few off a shifty rip bowl. Good waves across most beaches this afternoon with the new groundswell, firing at some..
Hmm, maybe I shouldn't have backed off the forecast quite as much. Could punch a little higher at this rate. Though, when confidence ain't high, it's better to be cautious than overly optimistic. 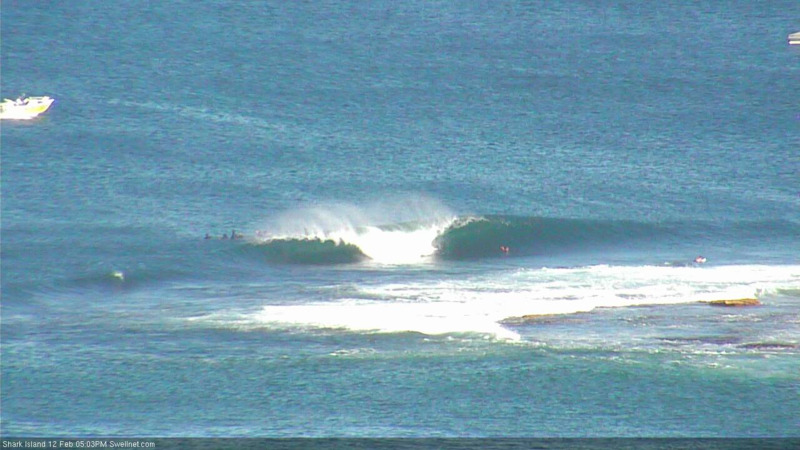 A little small, but some nice barrels at Shark Island lefts. long, strong 2ft + lines on the beach here Ben but all straight handers unfortunately. I suspect more E/NE friendly beaches would be firing. Thanks mate, appreciate the report. Which coast you at? Two frames taken over two seconds, presented without comment. Some nice, super clean waves about brushed by the west winds. Pretty straight at the low tide, if a bit more water over the banks it may have been epic. Just after 4pm the swell pulsed to well over head, then dropped back to 4ft a little while ago (6ish). That coupled with west winds and a dust storm made for a pretty memorable session down south. South coast pumping most of the day, but winds got to strong in the afternoon, for some reason salt in the eyeballs with strong winds is frustratingly painful. Still an epic day. 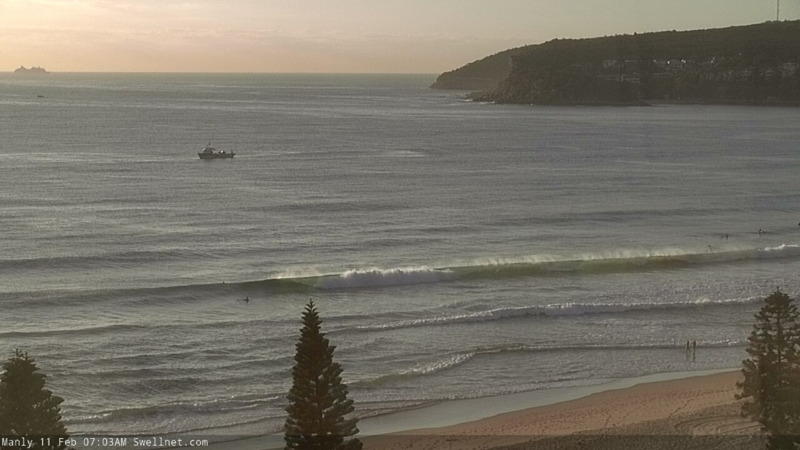 Beautiful lines of groundswell pushing into Manly. Easy 4ft if not a touch more and I luckily found my little corner rip bowl that was holding the smaller to medium ones. Stoked! Epic session right until dark this arvo. Wind even dropped off to glassy. Some solid 4ft sets that came in pulses, set after set. Then nothing for a while. How good is better than expected! 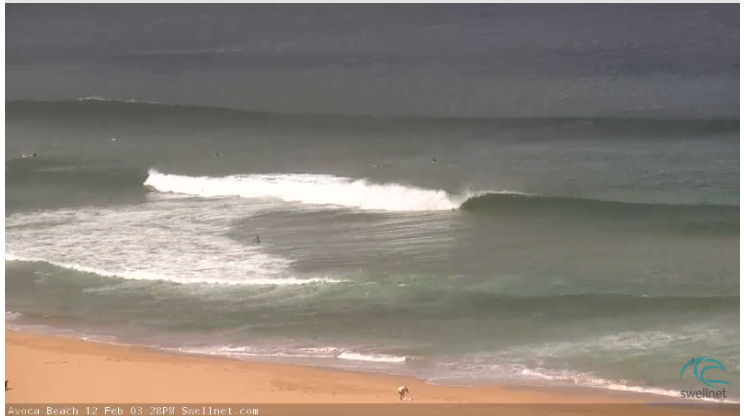 Yeah classic long-range groundswell with 6-8 wave sets then nothing. Love it. yesterday morning on a reef that likes some NE was pretty good. in the evening, bronte had the most surfers i've ever seen the water anywhere. two solid lines from the reef to the headland between tama. i stopped counting after 50. 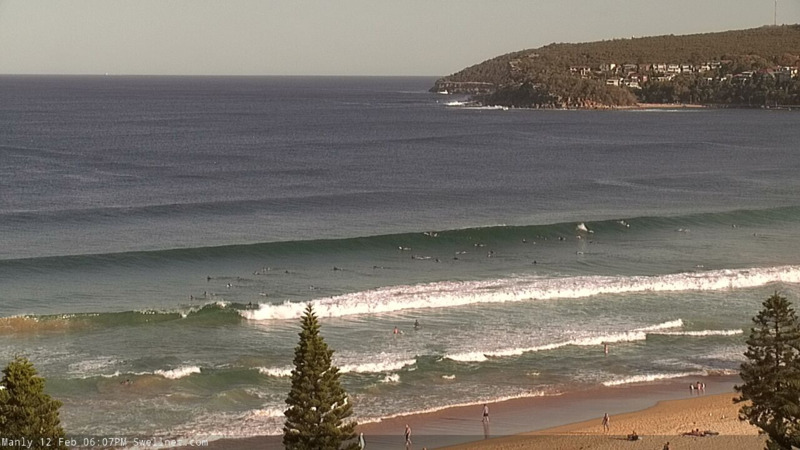 Yep, absolutely quality swell for sure. Shame I was too eager to find a good bank to work it and ended up breaking off fins on my first take-off.